Android is a great little operating system. It’s absolutely packed with great features, awesome tips, and time-saving tricks.Get Android 6.0 Marshmallow Features Without Updating Get Android 6.0 Marshmallow Features Without UpdatingAndroid 6.0 Marshmallow is on its way, but while you wait, you can actually get a lot of its best features right now on any device.But how much do you really know about your phone or tablet? Sure, you can make phone calls and send texts, but we bet there is something in this article that you weren’t aware of. Ok, this is one of the more widely known tricks, but it’s important nonetheless, so we are going to include it. Navigate to Settings > About phone and tap on your phone’s build number seven times. You’ll get an onscreen countdown, eventually followed by a message saying “Congratulations, you are now a developer”. For the most part, the latest Android phones already feel very snappy. However, after the latest Nexus 5X only shipped with 2GB of RAM, some users were left feeling a bit underwhelmed by Google’s hugely popular product line. There are also lots of popular entry-level phones that come with slower processors and only 1GB or 2GB of RAM.5 Ways Cheap Android Smartphones Beat the Flagships 5 Ways Cheap Android Smartphones Beat the FlagshipsWho says you need the latest and greatest (and most expensive) smartphone out there? The cheaper alternatives are actually really good. Let us show you. It’s annoying when a link opens in a certain app rather than in the browser. It could be a YouTube link, a tweet, or a Facebook page — you’ll end up waiting around while your phone shuts down Chrome (or your browser of choice) and fires up something else. Go to Settings > Apps and find the app that keeps opening. Once there, scroll down to Open by default, press it, and then select Clear Defaults. If that doesn’t work, try doing the same with your browser app as well. Swipe down twice from the top of your screen to open the Quick Settings menu, and instead of pressing on the WiFi icon (which disables it), instead press on the network’s name. You’ll immediately be given a list of all the networks in your vicinity. Speaking of the Quick Settings menu, did you know you don’t actually need to double swipe in order to access it? Instead, a simultaneous two-finger swipe will have the same effect. If so, you can easily mirror your Android’s screen (and individual apps) by using the cast function. Just open the Quick Settings menu and hit Cast. 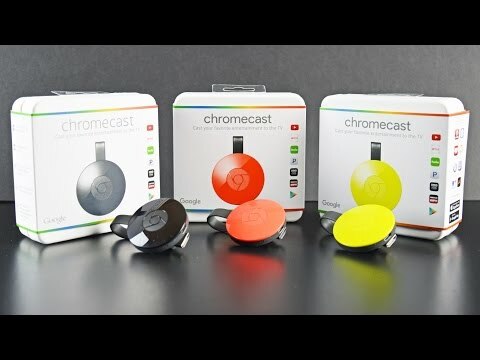 Your device will find your Chromecast (assuming it’s on the same local network), and you’re good to go. It’s great for playing games on a larger screen, showing off photos to family and friends, or playing your music through a louder set of speakers. Though many apps, like YouTube, have a dedicated cast button within the app. Do you keep getting an annoying app notification, but you’re not sure which app is causing it? There is an easy solution — just long-press on the notification in question, and your device will tell you. Moving on one step further from the previous tip, after you’ve long-pressed the app you’ll see an information icon. Press it, and you’ll be presented with the notification settings for the app in question. You can do things like block all its notifications, allow it to override priority mode, and make it hide private information. In short, it allows you to put your phone into quiet mode, but still allow some “noises” to get through. This could be calls, texts, or WhatsApps from specific contacts, notifications from certain apps, or important alerts such as alarms. To set it up, go to Settings > Sound & Notification > Do not disturb, then select the options that you require. It can be quickly toggled on and off from the Quick Settings menu. Just double tap the screen and swipe up and down to zoom in and out — it’s a lot less fiddly than trying to pinch your fingers and hold your phone at the same time! Lollipop and Marshmallow’s game is based on Flappy Bird; it has the same gameplay principle but has had an Android-themed makeover graphics-wise. The best free Android games in early 2018 were voted by Google.